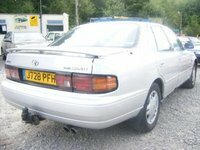 Have you driven a 1992 Toyota Cressida? 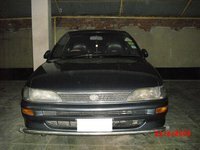 Displaying all 4 1992 Toyota Cressida reviews. An Early Stealth Lexus... — Purchased used in 1997 with 60,000 miles. An excellent, underappreciated vehicle. Powerful detuned Supra inline-6 gave surprisingly ripping performance when opened up. Otherwise, a silent glider in stop-and-go traffic. Deluxe interior with great seats. Ideal size, inside and out. Surprisingly decent handling. On the downside, repairs were kind of expensive, and gas mileage was lousy, but it was the late 90s so no one cared. This car was mourned deeply when it was taken out by former roommate and totaled. Irresponsible d-bag. Pros: Rarity; Lexus-like driving experience. Cons: Not as reliable as other Toyota product. Looking for a Used Cressida in your area? 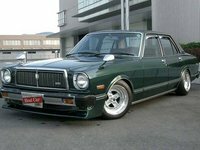 CarGurus has 5 nationwide Cressida listings and the tools to find you a great deal. 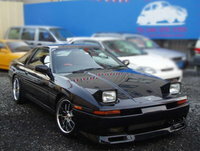 Cons: Head gaskets seem to fail more then they should ..
Good Car For Yourself Or Small Family — The performance is okay. It produces 290 horsepower from a little v6 engine, it does awesome on handling, acceleration, and speed. the cost of ownership is about $25 for gas and about $15-30 for maintenance. Fun factor of this car is that it does drive fast and it is a good gas saver. Excellent Vehicle As Primary Vehicle At First And Now A Great "second" Vehicle — Family car purchased new and has been a vehicle of pleasure from day one. Still operates in fully satisfactory manner and has lines and looks like many new vehicles. fun to drive - yes - good handling power,solid, dependable and safe.